Growing up, no one in my family ever skied. I didn’t even know anyone who skied. We were a lower middle-class family living on Long Island, NY. It was flat. Very flat. When it snowed, kids took their sleds to the highway overpass because it was the highest point in town. After high school, I went “upstate” to college in the Catskill Mountains. There I did meet people who skied but it had no draw for me. I hated the cold. I was happy playing tennis and racquetball or running around the track. I survived winters mostly by huddling under an electric blanket with socks on. So…on a Saturday in January 1989, I went with her on a bus trip to a small mountain nearby. 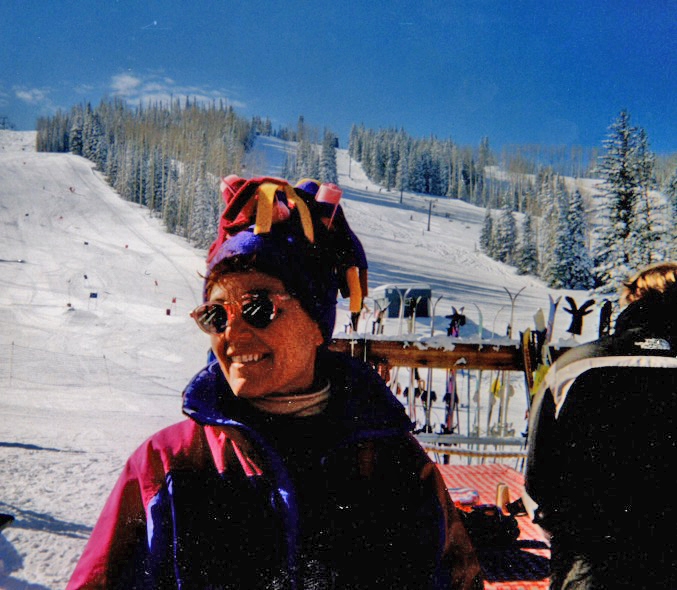 She loaned me a ski suit, hat, goggles, and gloves. 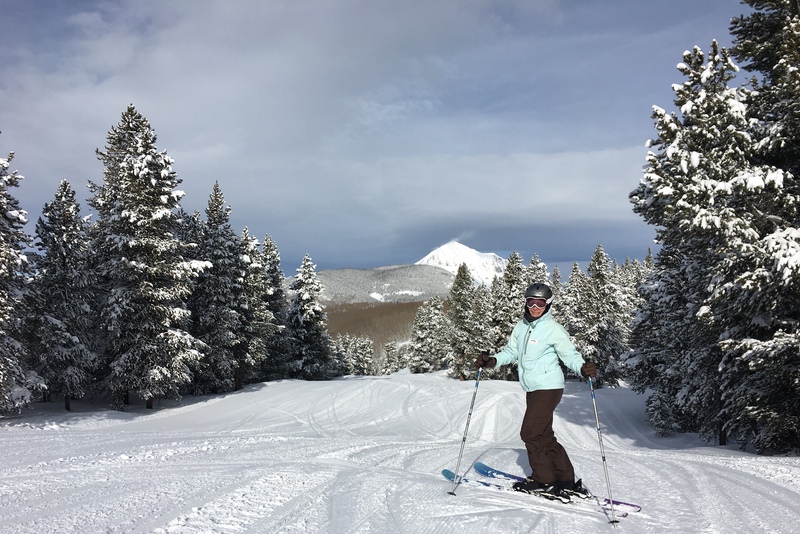 I bought a beginner’s package that included skis and boot rentals, a group lesson, and a pass for the lower mountain lifts. She went off to enjoy herself and I lined up outside the lodge with the “never-evers”, which that day happened to be just two 8-year old girls and me. (I told the instructor that I was tall for my age.) The girls went off with a cheerful young woman and I got a private lesson with Jason. Poor Jason. Try as he might, I just could not get the hang of it. All my racquet skills — quick footwork and good eye-hand coordination — did not help me. The ground was slippery as hell and no one ever threw me a pole. Staying vertical was an insurmountable challenge. While the two little girls schussed over to the chair lift, I could not stand up long enough to get on the rope tow. I did not come close to anything that could be called skiing. After the lesson, I went into the lodge and stayed there sipping hot chocolate, people-watching. It was such a complete different world, almost like visiting another planet, and I was fascinated. Riding back on the bus at the end of the day, I realized that, for the first time since September, I had temporarily stepped out of my sad “sorry-for-myself” state of mind. This part I liked. 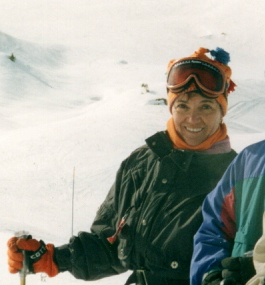 Soon after, Marie and I joined the Hudson Valley Ski Club. 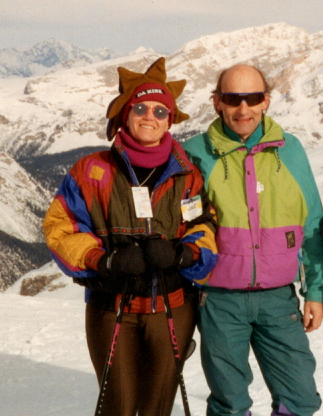 We went on a few of their day or weekend ski trips and to several meetings and dances. I really liked (and needed) the social part. The group activities helped me explore being single again without having to date. Meanwhile, skiing itself continued to be difficult. I didn’t love it and I was not at all good at it. I had restless dreams before every trip, too many embarrassing moments, and more than my share of bruises. The one part of my friend’s prediction that proved true was that it did make the winter fly by. It also continued to be an escape to another world; worrying about bodily harm all day kept me from thinking about and grieving my loss. Somehow Marie convinced me not to be discouraged, that the first year didn’t count because it was so icy in the NorthEast. As my alternative seemed to be siting home alone and crying, I returned for a second year and found that the club was offering a trip to Austria. I thought that if I couldn’t ski well in NY and VT, then it would probably be a whole lot more fun to not ski well in Europe. I signed up. St. Anton am Arlberg was gigantic, way more intimidating than the NY mountains. 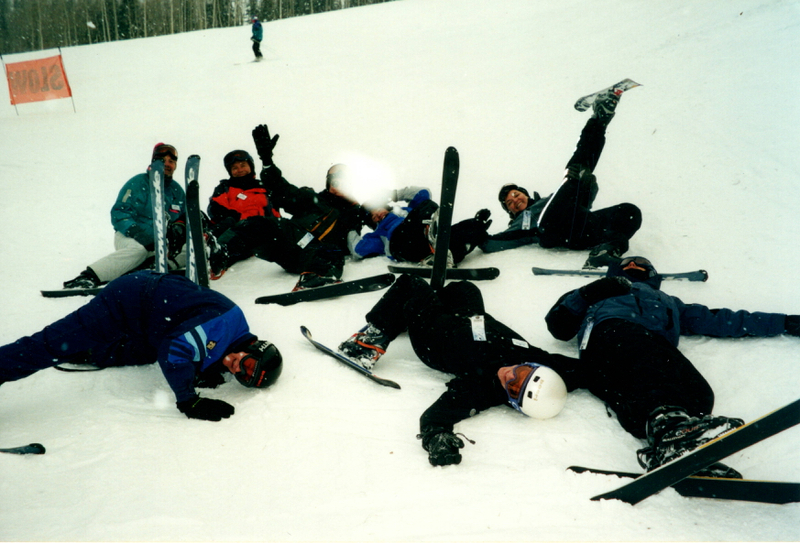 Everyone else on the trip could already ski, leaving me without a ski buddy, so I enrolled in 6 days of “‘skischule”. We had to first ski off to determine our level. I took one turn, immediately fell, and wound up with a group of similarly unskilled people; 8 of us altogether, 4 men and 4 women. As you can imagine, it is not easy to wedge the Alps. Hans our instructor was a man of few words who worked us very hard. Mostly he showed us what he wanted, saying “Do this. Do that. Follow me.” first in German and then in English. We started by side-stepping uphill for a few feet and sliding down, all day, to the point of exhaustion. Mid-week we moved on to attempt the ground lifts, which took us to up a little higher. 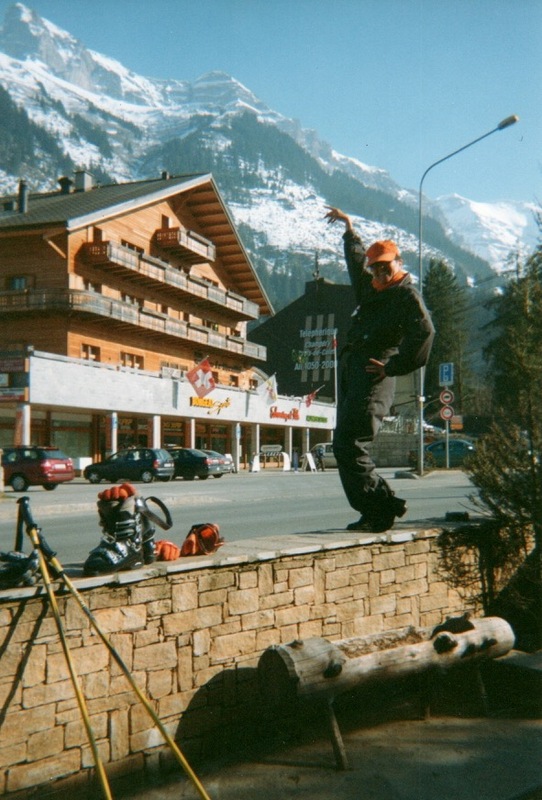 We ended the week by actually getting on chair lifts and skiing, in sloppy parallel style, to the next town. For the very first time, I actually enjoyed myself. I had fun. I felt masterful. 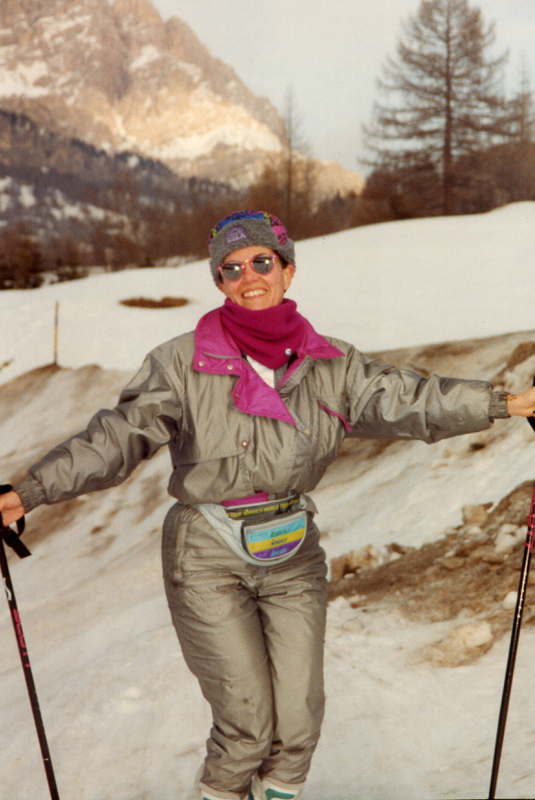 I was hooked and my love for ski touring began. As they say “The rest is history.” I kept at it. I went more often; I took more lessons; I got better. I made lots of new friends. I bought my own equipment, several silly hats, and eventually a helmet. I discovered hand warmers and boot gloves, which made the cold temps bearable. When I moved south to North Carolina in 1993, I refused to give it up. 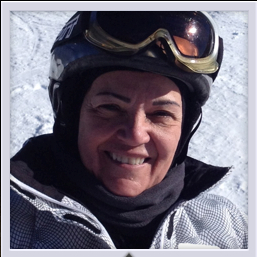 I joined the Raleigh Ski and Outing Club and continued my new passion. Day trip skiing was not available so I went on more week-long adventures. 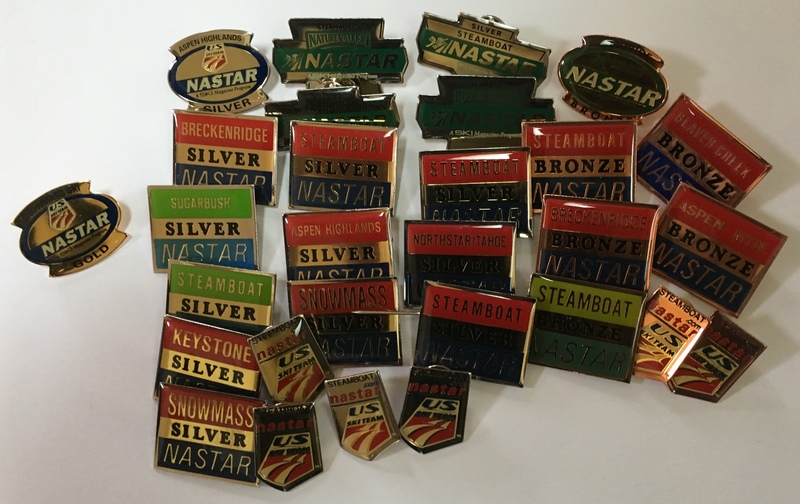 Over the years, I’ve traveled and skied in Colorado, California, Nevada, Utah, New York, Vermont, Wyoming, New Mexico, Canada, Italy, France, Austria, and Switzerland. 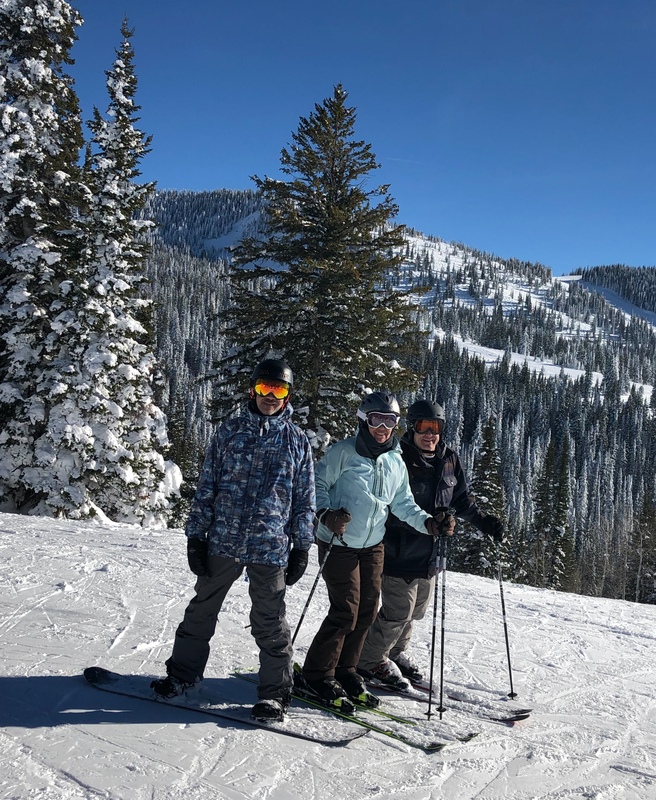 I started taking my sons with me and they learned to ski and snowboard. We’ve become a snow sport family! It’s a great way for us to spend quality time while doing something fun, active, and healthy with a group of other people. January 2019 began my 30th year. I found myself on top of a mountain in CO under a bluebird sky… still feeling amazed that I was there, immensely grateful that I can physically do it, and thankful that I can afford it. I take none of this for granted; I know that one injury could end it all. 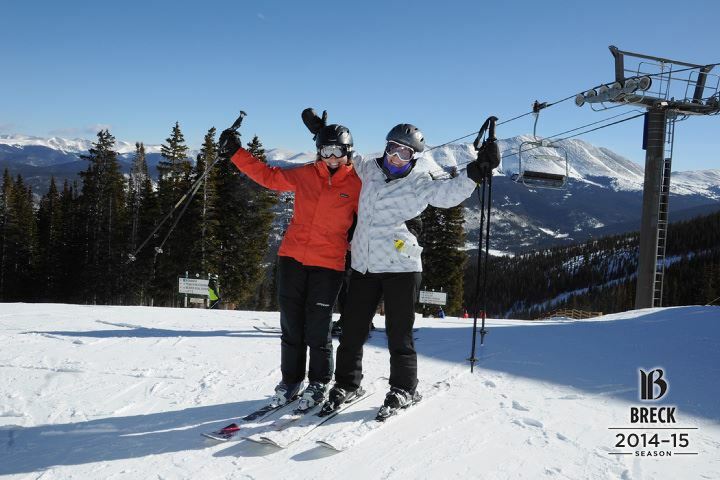 Fun fact: More than 90 US resorts give free passes to people over 80. That is one incentive to keep at it. Plus, it makes the winter fly by! Previous Article Will You Smile At (I Mean Dance With) Me? Next Article Yoga has helped me…in ways I never expected! Wonderful story ! Was ski club really 30 years ago ?!?!??? I did my one and only ‘wilderness ski’with them. I really felt proud: 20 miles ! Keep at it, ML. Yes. It was that long ago. Hard to believe, isn’t it? Which is why I wrote this story. This was a wonderful summary of your relationship to skiiing as well as the revealing story of how it all started. All beautifully told. Thank you. That was great ML…come ski with us…80 is the goal!! I related to this so much. I had the exact same reaction to skiing and the cold when I moved from Albuquerque to Montana, but it’s an amazing sport.